6 goal Manchester City on verge of reaching Champions league knockout stages. 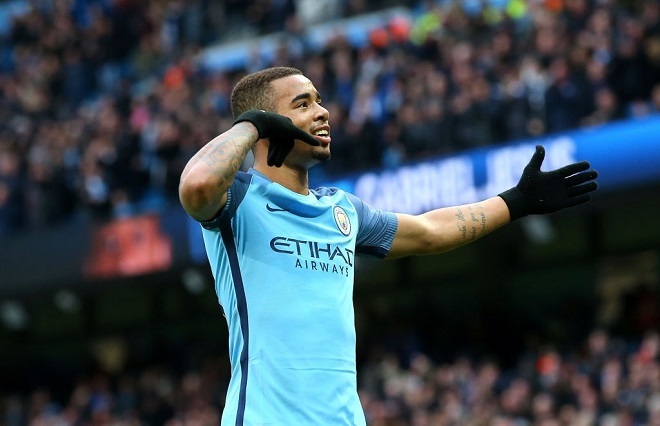 Premier League champions Manchester City are just a point away from qualifying for the next stage of this year’s Champions Leagues competition after recording a record 6-0 win over Shakhtar Donetsk at the Etihad last night. With the result in the bag by half time City looked all set for making the knock out stages with two games to spare but an injury time goal from 10 man Germany side Hoffenhiem meant they had come from 2-0 down to draw 2-2 against second placed Lyon meaning City would need at least a point in their next two games to ensure they reach the next phase. On the night City themselves looked unstoppable as they blitzed the Ukrainian champions from the start taking just 13 minutes for skipper David Silva to open the scoring with a simple tap in after some excellent work from Riyad Mahrez, minutes later they doubled their lead from the spot after Raheem Sterling seemed to trip over his own feet, but referee Viktor Kassai saw it differently and Gabriel Jesus stepped up to make it 2-0 which it stayed until after the break. The third goal came only minutes after the restart as and was all Sterling as he took on the Donetsk defence before curling a wonderful effort past the visitor’s keeper Andriy Pyatov from the edge of the box. Jesus second his second penalty of the game midway through the half to make it 4-0, this time it was the correct decision from Kassai as Silva had been brought down by Taras Stepanenko with a clumsy challenge. City’s fifth come from another wonderful bit of individual skill, this time from Mahrez who controlled Ilkay Gundogan each perfect with his chest, before smashing the ball past Pyatov, before turning provider for the second time in the game, this time laying on the pass for Jesus to pass the ball into the back of the net and completing his hat trick on the night. While City manager Pep Guardiola was seen on the side line appearing to tell him it was the wrong decision by the ref. Now just a point against Lyon in their next game on November 27th would ensure they are in the hat for the knock out stages. Man City produce a bit of history as they crush Schalke to make the Champions League last 8.